My wife and I believe in living beneath our means. A long time ago I had a pile of credit card debt and it was one of the worst times of my life. I had a good paying job and traveled a lot and everything was put on credit cards. Then I got a divorce and things went down hill fast. I quit my good paying job and racked up some more credit card debt by taking a trip to Canada and making some other foolhardy decisions. At that point I was out of control and knew I had to do something to stop the excessive spending, but wasn’t sure exactly how to do it. About that time I started listening to Dave Ramsey on the radio and after listening for a few weeks decided to give his program a try. I cut up my credit cards, started living frugally, stopped going out, and basically started my “debt diet.” I did that for five long years and managed to pay off about $35 thousand in debt. Fast forward fifteen years and my new wife and I are living a comfortable lifestyle in Maine. We have two young kids, a decent house and five acres of property in a wooded area and we’re happy. We bought a camper eight years ago that allowed us to go camping a few times a year and a Dodge Ram 1500 pickup truck to pull it. Recently the truck started rusting out and we decided to buy a new truck. 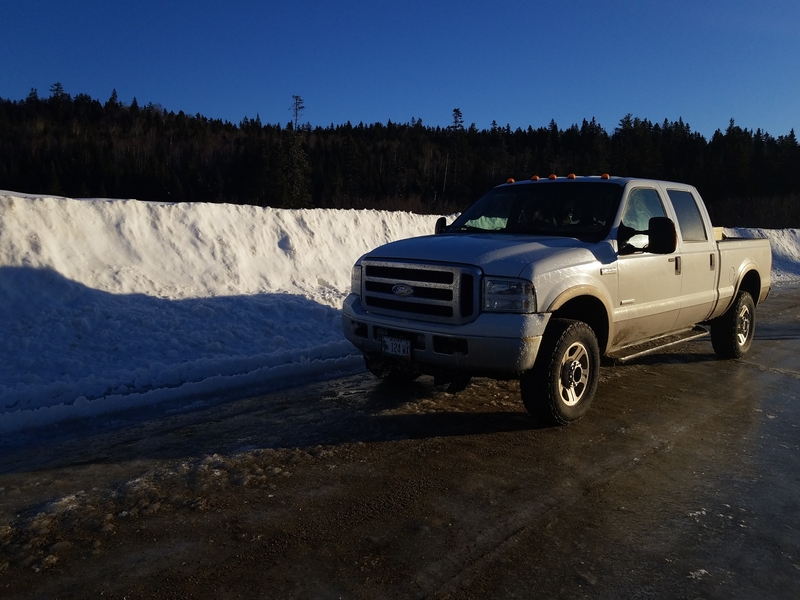 About that same time we sold the old camper so we could upgrade to a bigger and better one and I bought a Ford F350 diesel knowing it would pull anything we bought. That’s when things started to spiral out of control. My wife had quit her job to stay home with the kids and we were basically living off my income. The truck wasn’t new and shortly after I bought it things started breaking. Diesels are not cheap to fix and within a few months we racked up about $5,000 in repairs. This put a dent in the savings account and my wife started stressing out since she’s the one manages the money. We decided not to buy another camper at that time. 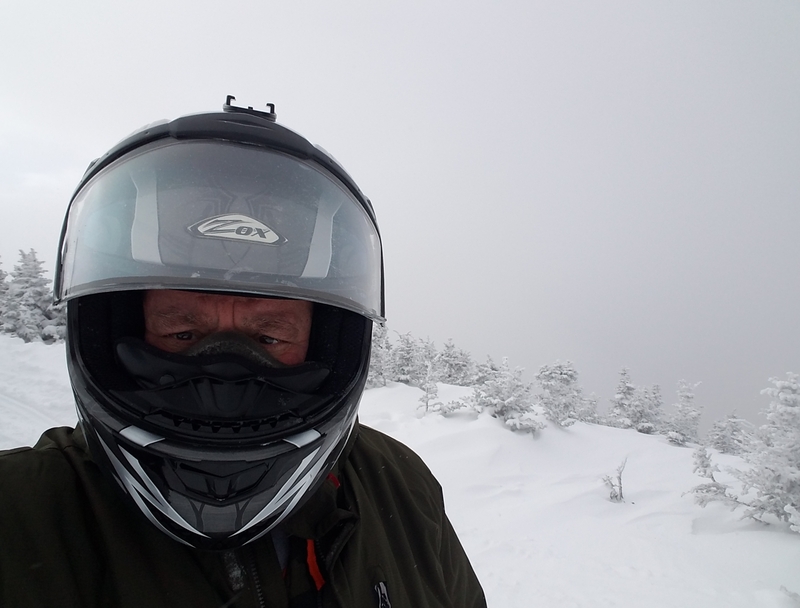 In February 2018 I decided to go on a weekend snowmobile trip with some friends and spent more money than I planned on spending. 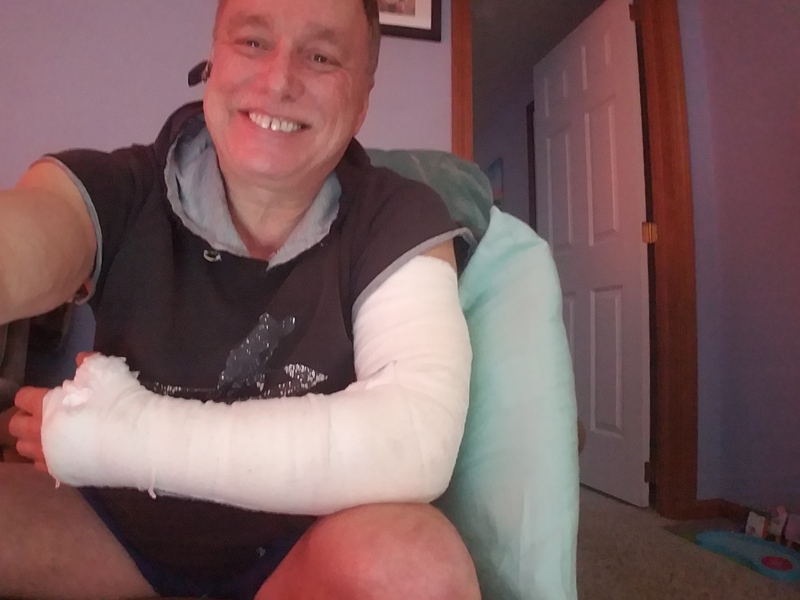 To top it off on the way home the snowmobile trailer bounced off the truck because I had the wrong ball on and when I went to lift it back onto the truck I tore the bicep tendon in my left arm requiring expensive surgery to repair. It was my own stupid fault and I paid for it in more ways than one. At this point I started doing some soul searching and tried to figure out how I’d moved so far away from my core values of not being in debt and spending wisely. I’d been doing everything but spend wisely. My wife had been cautioning me for awhile and I finally started listening. The weekend after the trip while she was cutting my hair I told her I wanted to sell the snowmobile and trailer. At first she tried to talk me out of it because she loves me and wants me to be happy, but finally agreed that it was a smart move. We put it up for sale and later that day it sold! Since we don’t have a camper I couldn’t see driving back and forth to work in a vehicle that only got 13 mpg with diesel running about $3.15 a gallon. We put it up for sale as well and sold it a month later. I’m now driving a 2012 Nissan Sentra that gets 34 mpg! She has a 2005 Toyota minivan for the kids and it’s still running beautifully. I do miss the truck, but from a financial standpoint it was the smartest move I’ve made in a long time. So after a lot of lessons learned I’m finally back at the point where I started years ago. When we go camping this year we’ll stay in a tent, which is how I prefer to camp anyways. Yes, it’ll be a learning experience for our pampered kids, but it’ll be good for them! The lesson here is that once you identify your core values don’t be led astray by friends, or Facebook, Instagram, or anybody who tells you that you need to spend lots of money on things you don’t need in order to be happy. Simple is usually easier and gives you great piece of mind as well. And don’t forget that your relationships with your family and friends is the most important thing there is. the Dave Ramsey system definitely rings TRUE for me also. it’s a sin; the way a new pickup can get rusted out like that…. the only consolation, is that they run better, longer than they ever did “back in the day”. …and there will be other snowmobiles. and people got by, before pickups even existed. Hey Irish – rightsizing is exactly the right word for my decisions here. It’s nice not having to worry about payments and repairs all the things that go along with it!